Dry Ice Slices which are used for the Airline Catering Services or for any food cooling application must therefore be wrapped in bags. Such bags are designed for easy handling with thin gloves. These bags are sized with lids on both sides to easy pick-up and place the slices to its place of use. 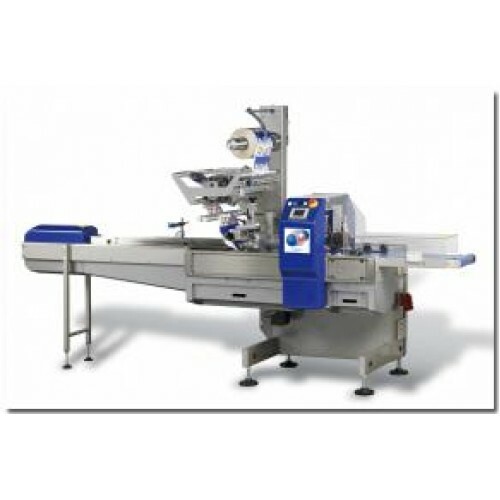 Dry Ice Wrapping Unit FP48 Automatic Slice Wrapping Unit! This automatic Dry Ice Wrapping unit will automatically wrap slices with a thickness between 20-25mm into polypropylene bags. The complete process is fully automatic. DRY ICE WRAPPING TECHNOLOGY FP48 - Smallest Space needed ! Due to our 23 years experience and know-how of CO2 and Dry Ice, we will be pleased to work out your dry ice manufacturing site, fully automatic and using minimal space. 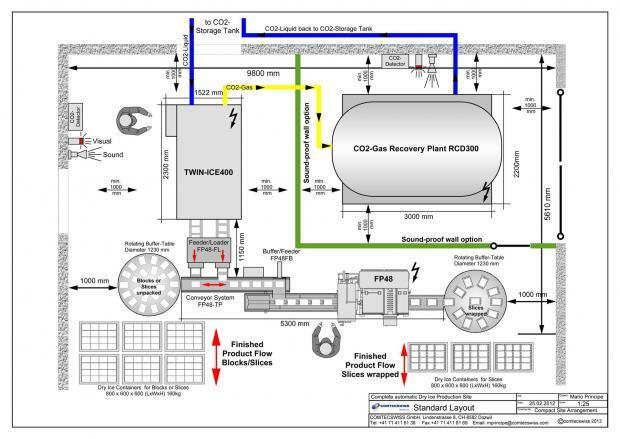 The layout below will just show you our smallest and complete dry ice production site. 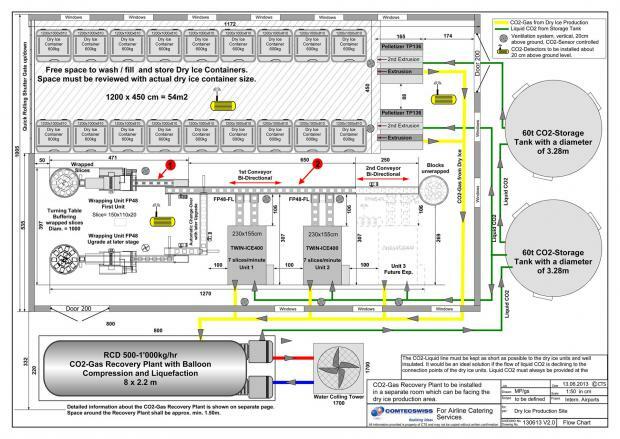 This layout is our customized design for a very large dry ice production site, which will supply dry ice slices to one of the biggest Airlines in the world. 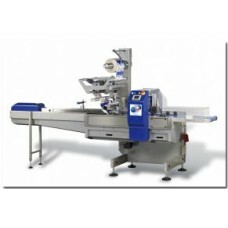 The complete dry ice slice demand will be produced with our TWIN-ICE Machines fully automatic. At present we will fully respect the customers wish to keep this project confidential until to its official openeing in 2014. This is the largest, designed dry ice production site producing dry ice slices, blocks and pellets with automatic conveyor systems, bi-directional, automatic wrapping machines with redundancy. The plant is designed to offer maximum redundancy in production of dry ice, wrapping of slices and a fully automatic CO2-Gas Recovery Plant with automatic capacity control according to the flow and volume of CO2-Gas exiting the dry ice machines in production. We will be pleased to work out the next dry ice site for you with our full know-how and competence in CO2 and Dry Ice.